– Dr. Xiao Ou Shu, Associate Director for Global Health at the Vanderbilt-Ingram Cancer Center. Evidence suggests that Coca-Cola, PepsiCo, and their allies in the food industry have derailed progress on cancer research by manipulating federal health organizations. The U.S. Federal Government has directed billions of cancer research dollars toward investigating genetic causes of cancer, while largely ignoring the relationship between sugar and cancer. Most people look at cancer as a disease that afflicts the unfortunate. Cancer patients are portrayed as modern-day heroes, battling to defeat a disease they supposedly played no part in causing. Yet our choices about food and exercise play a significant role in determining our risk for cancer. Metabolic disorders correlate with cancer, and a plausible mechanism links metabolic changes with cancer. And yet, cancer research has overwhelmingly focused on finding genetic causes and cures for cancer. You do not need to be an oncologist to know how the search for a cancer cure has gone. Cancer killed 553,091 Americans in 2000. Last year, cancer killed 591,699. Cancer remains the second leading cause of death in the United States, behind heart disease. The contrast between cancer and heart disease is profound. Cancer continues to kill more and more Americans each year, even as the number of heart disease deaths has fallen precipitously – by more than 70% since 1970. Why are we making progress against heart disease deaths but not cancer? Researchers credit the fall in heart disease deaths to “antismoking campaigns,” as well as to pharmaceutical and medical innovation. The failure to achieve similar progress against cancer, despite billions spent yearly on research and medicine, is troubling. It suggests a fundamental flaw in our understanding of the disease. What if chronic over-consumption of sugar caused cancer, just as it does Type 2 diabetes and heart disease? Perhaps then you would look at someone drinking Coca-Cola in 2016 the same way you look at someone still smoking cigarettes. Even the most strident proponents of the mainstream genetic theory of cancer recognize that obesity, sugar, Type 2 diabetes, and sedentary lifestyles each strongly correlate with cancer. If chronic sugar exposure causes obesity and diabetes, and obesity and diabetes correlate highly with cancer, might it not make sense to focus cancer research efforts on a direct causal link between metabolism and cancer? Type 2 diabetes, sedentation, sugar, and soda all contribute to various types of cancer, just as they contribute to other chronic diseases. Fermentation is inefficient—it requires much more glucose than the respiration method typical of healthy cells. PET Scans exploit the Warburg Effect—they detect cancer cells by tracking the consumption of marked glucose molecules. Cancer cells tend to be sugar addicts. The Warburg effect prevails in most cancers, whereas the genetic mutations that occur in response to cancer vary to an extreme degree. Dr. Thomas Seyfried, a professor of Biology at Boston College, argues it is more logical to target the constant metabolic feature of cancer rather than going after many diverse genetic mutations that vary from cancer to cancer, patient to patient, and cell to cell. What’s Holding Back Progress Against Cancer? This article will focus on conflicts of interest, rather than presenting the metabolic theory of cancer in detail. For the science, read Dr. Seyfried’s Cancer as a Metabolic Disease. For the history, check out Travis Christofferson’s Tripping over the Truth. Note that we are not making the argument here that Metabolic Theory of Cancer is a scientific law supported by an incontrovertible evidence base. Instead, we are asking why the government has not funded sufficient research to either support or contradict the efficacy of nutritional approaches to cancer treatment and prevention. The U.S. Federal Government spends ~$5 billion a year on cancer research. World cancer drug spending has surpassed $100 billion a year. The NIH’s spent hundreds of millions on the Cancer Genome Atlas to compile the genetic mutations associated with cancer. Yet some of the foremost researchers in the metabolic theory of cancer have trouble scrapping together several million to fund research. The result of the current cancer research strategy is undeniable: more Americans are dying from cancer than ever before. The public deserves answers. As we have covered on this blog, Coca-Cola has paid the NIH Foundation at least $1,750,490 since 2010. And while PepsiCo’s payments are less transparent, we do know that NIH has partnered with PepsiCo to research nutrition. This pattern holds in cancer. John Milner, of ILSI and NIH. John Milner was chief of the NIH’s National Cancer Institute’s Nutrition Science Research Group for over a decade (2000-2012). In other words, Milner was in charge of the U.S. Government’s research into the relationship between food and cancer. During the same period, Milner served as a member of the International Life Sciences Institute (ILSI), as part of their Global Board of Trustees, and served as a liaison to the International Food Information Council (IFIC), as well as on the Board of Trustees of the IFIC’s Foundation. Both ILSI and IFIC are funded and founded by the food industry, including PepsiCo and Coca-Cola. The ILSI also has a long history of being paid by the tobacco industry to lobby against tobacco regulation. When Milner died at age 66 from a heart attack, he had just been elected President of the ILSI. Just how interested was Milner in singling out a direct link between sugar and cancer, or insulin and cancer? 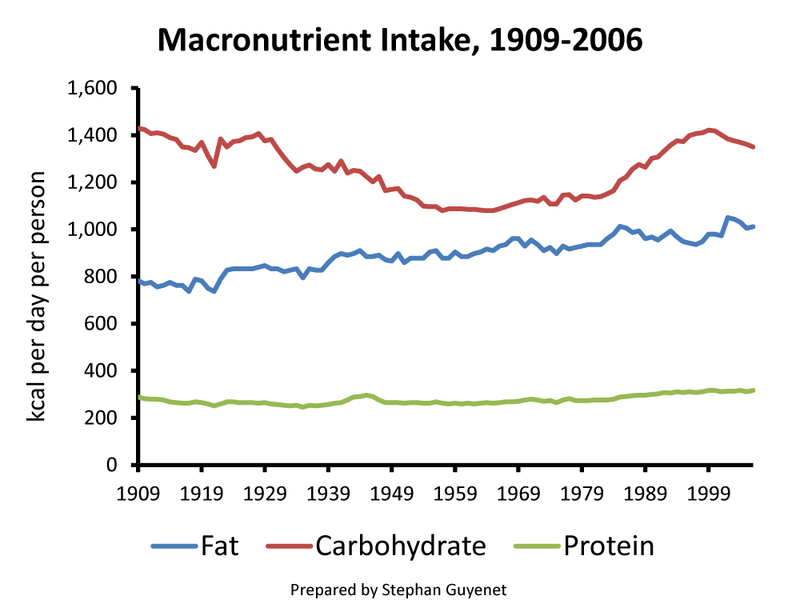 One indication is he portrayed increased carbohydrate consumption as a means to reduce cancer risk. The NIH had no problem with one of its chief cancer officials maintaining ties to Big Tobacco and Big Soda’s paid advocacy organizations. Milner represented the NIH at a workshop on “Building Public-Private Partnerships in Food and Nutrition” in 2012. The workshop was sponsored by the NIH, Coca-Cola, and PepsiCo, among others. It is essential to understand that federal agencies do not fight against this corporate infiltration of their health policies. On the contrary, they “encourage it,” as Elizabeth Nolan Brown of “Reason” observed. Milner also spoke as an NIH official in an IFIC promotional video, that was also published by the official NIH account. Does this mean that IFIC propaganda doubles as NIH material? Milner closed one of his IFIC speeches by emphasizing that the food industry, government and academia “are all in this together.” Indeed. Milner also worked directly for the Danone Institute, of Danone Inc. One serving of the yogurt company’s “Fruit on the Bottom” variety exposes you to 24 grams of sugar, matching the maximum safe level of consumption for women, according to the American Heart Association. In one of his last public appearances before his death, Milner spoke on “Energy Balance: A New Paradigm” on behalf of ILSI, the American College of Sports Medicine, and the American Society for Nutrition. All three organizations have been funded by Coca-Cola and PepsiCo. Milner introduced the conference. The New York Times has reported that Big Soda uses “Energy Balance” to divert attention from the harm of its products. Appropriately enough, right after Milner stepped off the stage, James Hill of the Global Energy Balance Network spoke. The Big Tobacco/Soda advocacy organization also paid $2,188 for Milner to fly to its 2012 annual meeting at the Arizona Grand Resort & Spa, a “luxury” hotel (see page 14 in the linked spreadsheet). This included a payment of $600 for “other.” The records do not indicate what “other” means, other than that it’s a category that excludes food, lodging, and airfare. Milner was apparently a regular guest at ILSI’s annual meetings—they also flew him out to Buena Vista, Florida, for their 2010 meeting (page 13). The Arizona Grand Resort, where ILSI paid for Milner’s lodging. In addition to the ILSI travel, the candy company Nestle paid $2,811 to send Milner to Lausanne, Switzerland, for its “Nutrition Symposium” in 2010 (page 5). Milner or Warburg: Whose Legacy Will Dominate 21st Century Cancer Research? Other NIH cancer officials continue to work with ILSI. Jerry Lee is “Health Sciences Director” at the National Cancer Institute. He also serves on the ILSI Health and Environmental Sciences Institute’s Board of Trustees. High doses of acrylamide have caused cancer in animal studies. A WHO committee described it as a “human health concern” in 2010 and the National Toxicology Program said it is “reasonably anticipated to be a human carcinogen.” Virk-Baker’s ILSI-funded study, however, found that epidemiological research on Acrylamide could “not have any meaningful interpretations” due to alleged flaws in exposure assessment. Neither the scientific journal nor the NIH objected to Virk-Baker publishing research on a suspected carcinogen while being funded by an organization representing corporations whose products contain the same suspected carcinogen. Whether her acrylamide research was accurate or not, Virk-Baker’s study suffered from a disqualifying conflict of interest. It’s as if the RJ Reynolds Tobacco Institute funded an NIH official’s study that questioned the evidence linking cigarettes to lung cancer. Appropriately enough, Virk-Baker continues to study tobacco at the National Cancer Institute to this day, despite her relationship with ILSI, a Big Tobacco advocacy organization. Amy Subar represented the National Cancer Institute at the 2016 ILSI annual meeting. And ILSI will have Sue Krebs-Smith speak at its 2017 meeting on the topic “Is Diet Associated with Cancer?” Subar works as a “Research Nutritionist” at NCI while Krebs-Smith serves as Branch Chief of NCI’s Risk Factor Assessment Branch. One interesting feature of Subar and Milner’s ILSI presentations is they emphasized meat’s contribution to cancer while either ignoring or slightly mentioning sugar. Big Tobacco and Big Soda’s advocacy organization paid for the travel, speaking, and research of numerous NIH cancer officials. A ketogenic diet restricts protein, carbohydrate, and total calories. It forces the body to use ketones derived from fat, rather than glucose, for fuel. The work of Dr. Seyfried and his colleague Dr. Dom D’Agostino suggests that restricted ketogenic diets may prevent and slow the growth of cancer. Healthy human cells can metabolize ketones since they have intact capacity for aerobic respiration, but cancerous cells cannot, since they depend on fermentation. The National Cancer Institute’s latest funding grant archives are from 2013. That year, the institute only funded a single study specifically on the ketogenic diet. That study’s data suggested that, “carbohydrate restriction may reduce systemic inflammation and oppose the tumor-promoting effects of obesity, resulting in slower prostate cancer growth.” If this result spurred the NCI to increase its sparse funding for ketogenic diet research, there is no indication of it. The NCI’s “Diet” section does not mention the words “sugar,” “carbohydrate,” nor “insulin.” Nor does the National Cancer Institute website contain a single mention of a ketogenic diet. In contrast NIH’s Prevention unit alone is funding dozens of studies related to genetics and cancer. Did Big Soda Dollars Misdirect the NIH’s Cancer Agenda? Now, we cannot yet prove the millions of dollars that Big Soda paid the NIH Foundation caused the NIH to look the other way on sugar and cancer. We cannot prove that John Milner, the trustee of several Big Soda-funded organizations, intentionally biased national cancer research as a head NIH cancer official. Nor can we prove that Mandeep Kirk-Baker’s review of acrylamide and cancer was influenced by its undisclosed conflict of interest. There are good reasons to suspect that Big Soda corrupted the American Government’s cancer research, however. The NIH has directed billions of dollars toward investigating genetic contributions to cancer while comparatively ignoring the metabolic theory of cancer. And everywhere researchers have closely investigated the food industry’s relationship with government, they have found corruption. Internal documents have proven that Big Sugar prevented the NIH from researching sugar’s relationship to dental cavities. A CDC official left her job this summer after internal emails were released revealing her cooperation with ILSI, the same industry-funded organization involved with NIH cancer officials. And this week we learned that Big Sugar covertly funded nutritionists who downplayed sugar’s contribution to heart disease, and instead put the blame on fat. One of Big Sugar’s funded nutritionists then designed the U.S. Government’s dietary guidelines, setting the national dietary agenda for decades to come. Furthermore, studies show that industry funding has significantly biased research both on soda and artificial sweeteners. Perhaps cancer is the sole exception in a long history of covert industry funding and the ensuing corruption of federal health policy. We hope so. It would be nice to think that the NIH’s cancer arm remained objective despite its intimate relationship with the food industry. Care to bet your health on that hope? Sure the sugar industry has it’s finger in this pie, too. But IMO it’s peanuts compared to the billions of dollars and extensive influence of Big Pharma in NIH and NCI research. These companies have everything to gain and nothing to lose from the increasingly futile efforts to find genetic causes and cures for cancer. Every new drug they can develop that “targets” a specific genetic mutation (usually ineffectively) will net them thousands of dollars a dose. If the solution was as simple and cheap as a change in diet? C’mon. There’s no money in that, people. If you want to lose sleep at night, read Bad Pharma by Ben Goldacre. It’s really disturbing. Science is NOT objective, particularly when it comes to medical research. It is that a recipe for disaster is to flood living systems with excessive amounts of man-made junk energy (sugar, fertilizer, etc.) and toxins (sugar, pesticides, sewage, etc). This logic applies whether you are at the micro, meso, or macro scale (e.g. mitochondria, living organism, or ecosystem). When the energy source is also toxic (e.g. sugar), you leverage the negative impacts, and disrupt the metabolism. When you disrupt the metabolism, you disrupt the cellular engine. When you disrupt the cellular engine, you are are inviting cancer into your house. Toxic forms of energy not only mutate the cells, but then also provide rocket fuel for the mutated cells. You don’t need to be a rocket scientist to figure this out. Wolfram, that’s a much better explanation than what I wrote here! I agree with Russ. Very well written Wolfram. Are you in the medical or scientific profession? You can really help. Our human study was very small and had limited goals but it may be the only human study looking at ketone bodies. Modest as it was, we got a glowing editorial from Lewis Cantley, head of oncology at Cornell-Weill, mentioned at the beginning of this post. I think it is because it is clear that it should have been done a long time ago. I am embarrassed to say that our review from NIH on extending the humans studies revealed that they had reviewers who didn’t even know what a ketone body was. Adjunct to the human studies, we are studying the effect of ketone bodies on cancer cells in culture Our crowd-sourcing site at http://bit.ly/2aNfUuK provides background on cancer and diet and has an “ask the researchers” feature so may be informative even if you don’t donate. But even $ 10 helps carry the work forward.